Bring together a Hong Kong Golden Horse best actress winner and comedy Queen, a Singapore comedy King, with a multi-award winning director. Add a wish list of acclaimed talented actors. Set against a comedic storyline with a soul, and the result is a truly memorable film that instantly grabs your attention from the first frame. Firstly, huge congratulations for having been nominated for the New Talent Award at the Hong Kong Asian Film Festival – did you feel any pressure to get a good reception for the movie especially after your previous success with Miss Wonton and the increased interest in Singapore made film with Anthony Chen’s Ilo Ilo last year? Yes at first there was pressure to make a picture that will garner awards and there is also pressure to make the money back for our investors. But as I went into production and post production, the only instinct was to make the best film that I could. It has been a challenge juggling all the elements together. I'm glad that I finally achieved my dream of making a local movie. 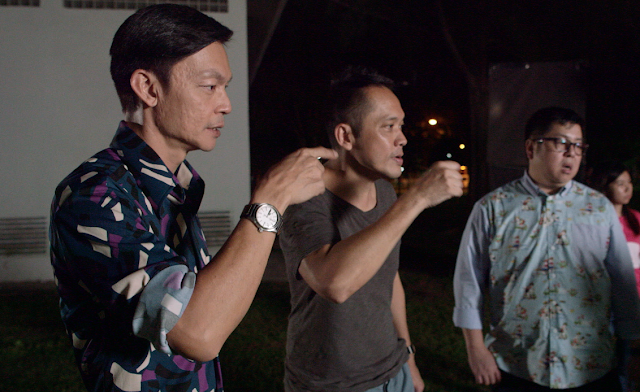 With increased interest in Singapore film, do you feel there is a unique angle to Singapore’s film industry? I think our film industry is still evolving. I feel that there are two groups of filmmakers here: those who made short films and progressed to make feature films, and those who crossed over from Mediacorp to movies. But their common link is stories taking place within the HDB landscape. You have been quoted in the papers as saying that ‘The plot is more realistic and dramatic, in addition to having more human, funny moments’ – having finished the movie do you feel this has been achieved? Yes, the plot is still definitely grounded dramatically. The comedy is just the colours of the story. When it was at the Sundance labs, it was actually even more dramatic. But over many drafts of writing, it became more comedic. Ultimately, I wanted the movie to start off light - to make people laugh and connect with the characters. But when the drama takes over, the film becomes moving. I'm sure there will be tears flowing, as in the case with our test screenings. I'm pleased with these aspects. What would you like audience to take away as they finish watching the movie? There is a strong message of love in the movie. Love between father and son, love between mother and son, love between two people (does not matter if it is between a man and a woman or a man and a man). Love transcends the boundaries of life and death. I hope the message of acceptance comes through in the movie. 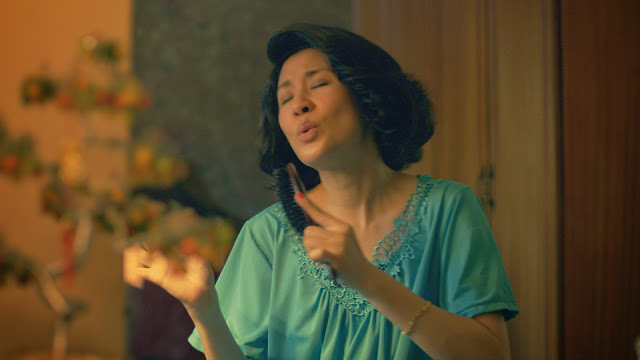 Sandra's character's denial of her son's sexual identity only brought about pain and guilt, and disability to reconcile with it especially aggravated her grieving process. She had to overcome the boundary of death in order to connect with her son so that she could come to terms with who he really is. And her tool to do that is her undying love as a mother. The film is also about dealing with death, and how different people deal with it differently. It reminds one of treasuring your loved ones when they are alive, and not to end up with regrets. It is an entertaining movie but one that has meaningful messages. 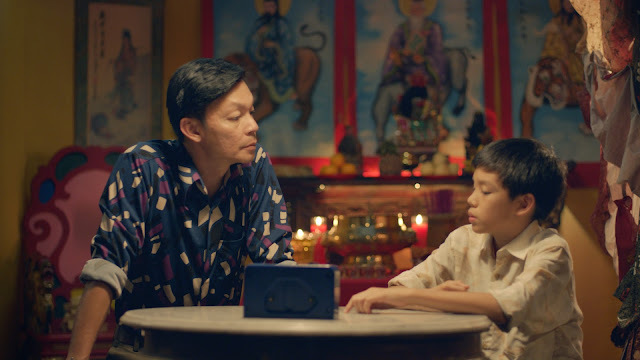 I have watched the trailer and the signature comedy moments are there with dramatic elements that I love – but additionally, I noticed that there seems to be a mix of Hong Kong Cantonese comedy, Mandarin dramatic dialogue mixed with Singapore local language and humour (especially from Mark Lee’s character) – was this intentional? Would this be a reflection of the mixed cast? I think the mixed languages reflect the reality of how we live here in Singapore: switching from dialect to Mandarin and then to English, and the back and forth. My mother used to speak to us in Hainanese and then spoke to my Dad in Cantonese. When she got mad with the children, sometimes she would jump back to Cantonese to scold us. Also nowadays you get to hear less and less dialects. There is certain nostalgic feel to it. Even our set design seems to suggest an unspecific time period, mixing the old with the new. It is my approach to filmmaking. I did that also with "Miss Wonton", the film I shot in New York. From news articles, I have read of the great professional working relationship between yourself, Sandra Ng and Mark Lee – did you feel any pressure having to juggle such established colleagues? Are there any anecdotes that you can share about working together? I've known Mark Lee for a long time - about ten years - we worked on Police and Thief together - I was the executive producer and a director of the series. I'm quite familiar with Mark's way of working, and knew his strength and the other things we needed to work on. I have to admit I was worried about handling Sandra. I wasn't familiar with how Hong Kong actors work. I've heard that they are used to a very quick way of shooting, and that she had a reputation for walking off sets. Thank God that didn't happen! She was very professional throughout and I really appreciate her contributions, and her audacity to work in an unfamiliar environment. Must have been daunting for her. The other thing I was very concerned for her was shooting in our hot and humid climate, and it turned out to be really tough for her. I knew both actors would be good at the comedic parts of the movie, but I wasn't sure with the dramatic parts. I must say I'm impressed with both of them. My jaw dropped during one of the scenes which Sandra and Jim Chim (who played her husband) acted - a dinner scene where husband and wife are shooting blame at each other for their son's death - it was really powerful. I'm also very proud of Mark in his dramatic scenes - he had come a long way - I think this a new high for him. What are your favourite moments in the movie or the filming experience? What was the most difficult part about making this film? I must admit executing the overall look for the film is the most enjoyable part for me: the set design and props. The most challenging part was finding locations for the shoot. Nobody would loan us places to shoot as it is a ghost themed movie. In general, I thought shooting in New York locations were easier. Sometimes you would get free locations to shoot, and there is support from the Mayor's office. 10 years from today, what do you feel would remain in your mind about this film and this experience? Having been in the Singapore industry for a number of years, how would you like to see the local community develop? 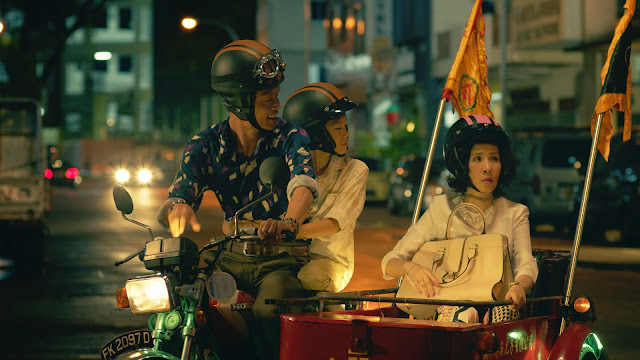 I wish Singapore is able to do more artistically adventurous films. Most of all, I hope our censorship will ease. 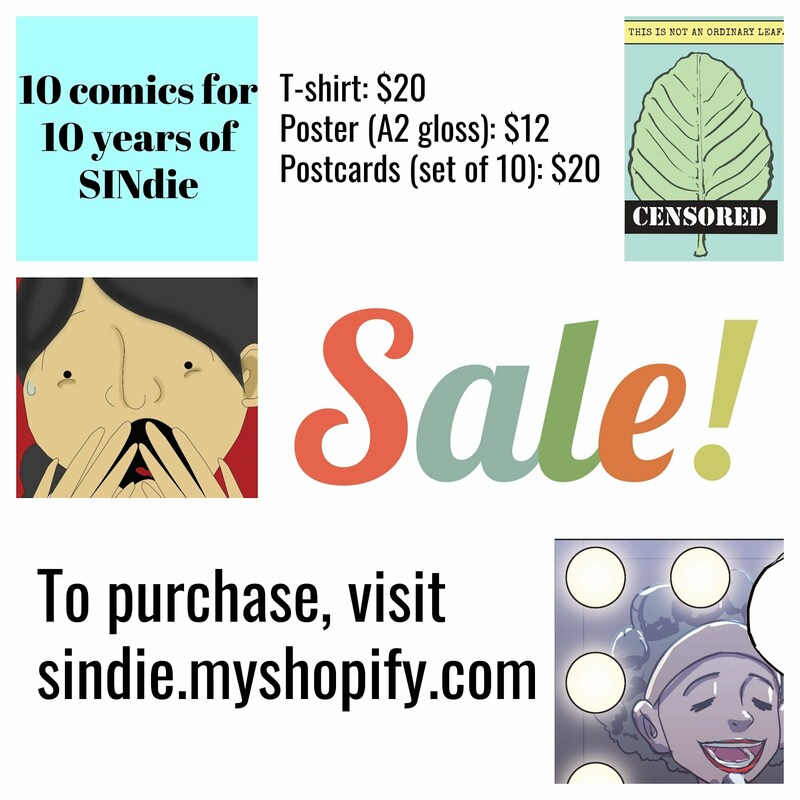 It is tough to be a filmmaker and to have your voice constantly monitored and censored - how to make a product when you can't talk about anything or re-examine yourself ? - we are just going to have bland products that won't be able to compete in the international marketplace. What is the next project for Meng Ong? My latest project is "White Snake". A sequel and reinvention of the folklore. This time I'll be working with a New York producer. 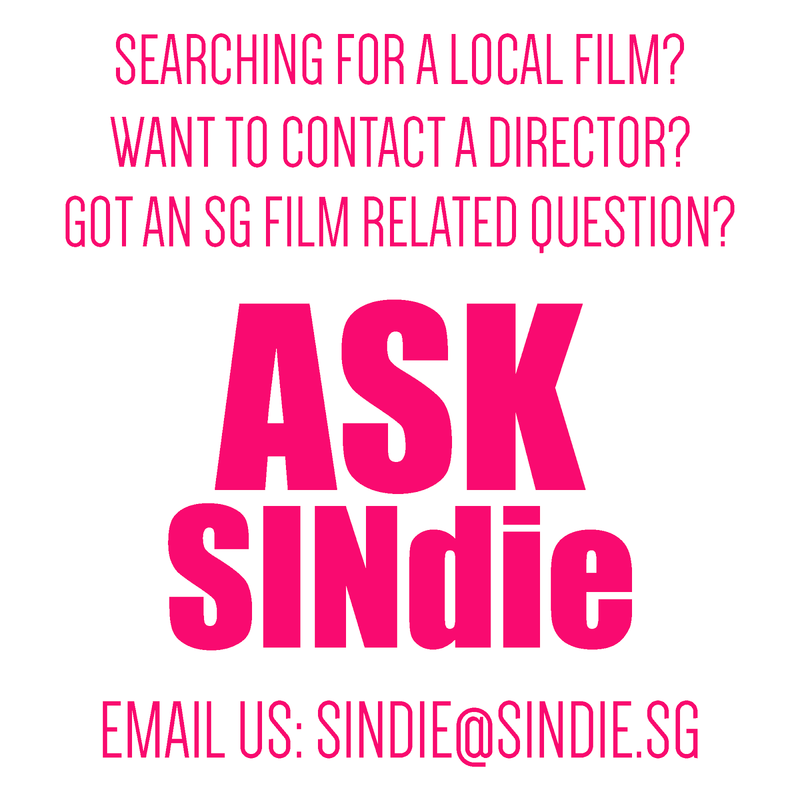 What advise would you give to our readers made up of young film-makers in Singapore? My advise is study as much as possible the works of master directors like Akira Kurosawa, Ingmar Bergman or Fellini. Also do short films - they are the best way to learn the craft and pave the way into features. And have faith. With this movie, the Singapore film industry may have just found another milestone and feather to add to its cap. Let us look to continue walking, step by step, on this journey of exploration that is the future of our industry. 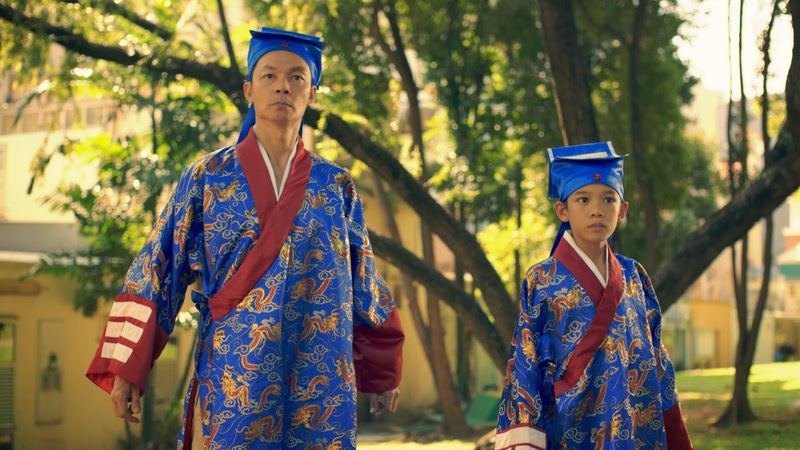 Neurotic ex-singer MRS WU hires 11-year-old spirit medium BOY and his single father MASTER WONG as highly recommended but highly unusual matchmakers, tasked to find a wife for her dead teenage son, PENG. Using an old Chinese matchmaking ritual, the three of them embark on the search for a perfect bride. However, the situation becomes challenging when they move from place to place and yet, the right bride cannot be found. Apparently PENG had died a mysterious death and he could be un-rested. When the search takes on an unexpected turn, MASTER WONG insists that the match is legitimate but MRS WU strongly disagrees. BOY begins to wonder if the ritual is bogus and if they are phony mediums. At the same time, BOY is facing problems in school. As MRS WU charges head on to organize an elaborate wedding banquet for PENG, the fight between her and MASTER WONG escalates. But as the clock ticks closer to the ghost wedding, who will the “bride” be? 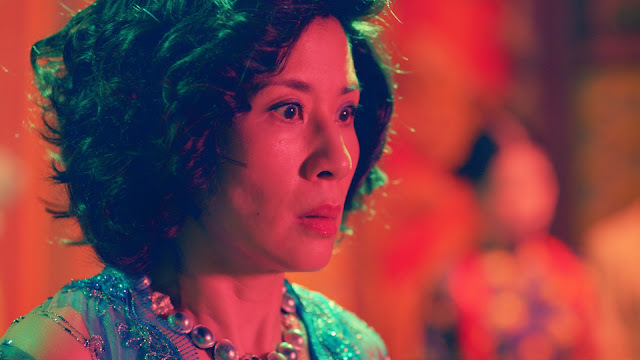 At the wedding, MRS WU encounters one problem after another as all Chinese ghost wedding hell starts to break loose. As secrets are revealed, it turns into a fantastic night of shocking revelations and both families are forced to face up to the lies they have all been living with. But will they be able to overcome their own limiting beliefs to come to terms with their loved ones and most importantly, their own personal truths?